Let me just come right out and say it: Ballistic Wars, by Wan Hazmer and team at Easy Only! Games, is like Advance Wars with balls. I mean that as a compliment! Thanks to the improvements to the initially submitted version of the game (improvements made based on reader feedback), Ballistic Wars is a fast-paced, turn-based strategy puzzle game that is one of my top favorites from our 4th Casual Gameplay Design Competition. The original submitted version even earned the 3rd place prize ($500)! Work your way through 15 challenging levels against a mad professor bent on blowing up, well, just about everything. Click on your "troops", represented by camouflaged balls of varying sizes and special abilities, to launch attacks against the opposing forces. 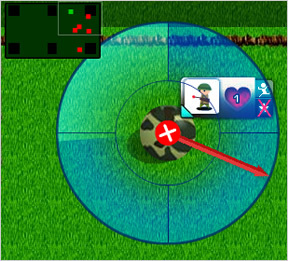 Infantry can only attack directly: click on the unit, set direction and speed by moving the mouse, then click again to set the ball shooting off towards your foes. Any opposing unit hit subsequently by ricochet will also be damaged by your attack. Other friendly units can attack directly like infantry or use their special ability. Units with special abilities include: a sniper that can shoot from afar and send foes reeling; a panic tower that uses its ability to push all units away; and my favorite, the ice cream truck, which makes everyone come running (for ice cream, of course!). The final unit is a tank, which has no special ability but deals massive damage and can take a beating. It's also slow as molasses and the size of an elephant. Each level poses unique challenges. Some involve simple brute force attacks to reduce your enemy's hit points, others require careful planning and clever use of the environment. The levels are designed more as puzzles to solve rather than as a more traditional war game, so be sure to inspect the level carefully before making your first move. The margin for error on some levels is razor thin. Analysis: The developers of Ballistic Wars were clearly inspired by Advance Wars, and have done a wonderful job of paying homage to that great series while presenting us with a truly unique game that stands on its own. The presentation of the story, the animation when activating a special attack, and the background music are all minor elements borrowed from Advance Wars that contribute nicely to the rest of the game, which is entirely original. The wonderful character design and animation was by Daim, and Leenyin took care of all the interface design for the game. Using balls as military units in a billiards-style turn-based war game is a brilliant use of the ball physics theme from the competition. It's also one of the most purely fun games in the competition. Some of the other entries are equally brilliant, creative, and well-produced, but few are this much fun to play. As much as I love the game there is some room for improvement. Each level is carefully planned and some are very challenging, but somehow few of them are very satisfying. I enjoyed playing the game itself but didn't feel a real sense of accomplishment upon finishing a level. There is clearly one intended solution to most levels and I never felt like I was able to exhibit any creativity in solving them. The background music is a nice touch but never changes, and gets very repetitive. I was also wishing for more unit variety, both for my units and for the opponent's side. With the limited time given for the competition I imagine programming a challenging opponent AI would have been a tall order for anyone. Despite these quibbles, Ballistic Wars is a standout entry from the competition, and will hopefully be further developed and granted a sequel. zxo - Anything reminiscent of Spybot: The Nightfall Incident has to be good, right? Right! Except for a few small usability issues (which were fixed in the update), Ballistic Wars is exactly what I look for in a casual game: easy to learn, heavy on strategy, and lots of fun! OK, so the strategies were made pretty obvious, but this move did allow more people to get hooked on the game. Easy Only Games has set the bar high for themselves, but I have no doubt that the sequel will be simply phenomenal, with more unit types, and more difficult and open-ended levels to pass. This game is just too funny. Well, I'm only a couple of levels in so far, but I like this game a lot. It's really satisfying to smash into a bomb and hear that "THWACK" noise. There are just a couple of things that bother me so far: when you have several units near each other, the little menus next to each one can become confusing. Perhaps the menus could be hidden unless you're hovering over the unit? Also, the way the view moves around as the mouse moves is a little too jumpy for my tastes. Maybe this just takes some getting used to, though. Otherwise, great game! Wow, 33 entries into this competition, and we're still getting quality games. This game could be one of the best so far. It's 100% original (I thought it was going to be a Worms remake, but I was very wrong). The graphics quality is good, and it's a very fun game to play. Nothing wrong so far! I am having some trouble with one level...level six I believe. Any help? I think the game lags a bit when there's a lot going on, but that's forgivable...I don't like having to click through the intro every time I restart the level, and I wish that the animations of the bombs counting down moved a bit quicker. My first impression is that it's a hilarious fun game, and an original one at that. The character design cracks me up, and I believe there's more humor to come. Very well done, Hazmer and Daim! Great game. Fairly easy to pick up and play. Only a couple of levels in, so not much to report on quite yet. I will echo the "camera tends to hang on the left side" bug though. I had that problem too, although clicking seemed to fix the problem - merely moving the mouse did not. My one suggestion: provide a "skip" feature or some other way to fast forward the animation (e.g., when it is the enemy's turn and the only thing going on is the countdown). In my impatience to move forward, I discovered one other bug: if it's your turn and you hit the last enemy to reduce its health down to 0 but click on the "end turn" button before the enemy fully disappears, it's as though it still has at least one health remaining. You'll need to hit it one more time. Hm... despite the good points others mention, it could use a bit of polish. Like, a mute button. A "yes/no" dialog when you click the restart and quit buttons so you don't accidentally do either while trying to move. Letting the player click to skip ability cutscenes and fastforward movement, and perhaps a button to skip to the end of dialog. Also, if you click "end turn" during movement, everything that's moving will instantly stop. Even if it's on a slope. These aren't big enough matters to overshadow the rest of the game's splendor, but they do detract from it. Great game. Great premise, great character design, very unique gameplay. One of my only problems with it is the amount of superfluous animation and the time it takes to get through it. For instance, watching the story play out for the 2nd time just because you lost the level and had to start over. We already saw the story, couldn't we just skip it? Also the banner-type animations indicating that it is your turn or the enemy's turn. It would be better if it didn't animate at all, but was just suddenly there, or if the animation finished more quickly or something. It just took too long to get through all of the formalities and get back into the fray. On second thought... after having a level get stuck when one of my units ended up pinned between a slope and a wall during the enemy's turn, after letting it bounce for four minutes before it stopped visibly moving... the problems -do- overshadow the rest of the game, sadly. I've really enjoyed the "Advance Wars" games on the GBA and DS, and this game definitely has that same feel and maybe a little more humor as well. The only real issue I have is the slow game speed in all aspects. I suspect that is just the way it is with a Flash marble rolling game, but I would also really like a faster pace. Otherwise, very original and a lot of fun! A minor point: scrolling seems a bit jiggy. But that's all, otherwise the game is a hit! Very creative! This is my favorite implementation of the ball physics concept so far. OK, after playing more levels I have to say that it seems to be a bit to sensitive to mouse movement, plus gameplay seems to be tediously slow at times. To Dan Black: You can click to make the banner animations disappear faster. Awesome game. I _love_ turn based war games, and this is a really neat spin on it. I also love that the abilities come with a little animation like the special powers in Advance Wars (one of my favorite games). The moving of the camera is kinda jerky, and the "level" background moves separately from the "stage" background, which is really confusing given the tiling of the grass. Hiding most of the troop menus until roll over would be nice, but it works ok with out it. On Level 9, it's possible for an enemy to end up stuck at the "bottom" of the slope, against a wall. The slope keeps trying to move the ball, but it's already up against the wall so cannot move, and the game just hangs at that point. Otherwise, this is a lot of fun. This is potentially a great game, but it lags so much to the left that at times you need to basically guess and shoot. Apart from that it's fabulous: great concept, great graphics, great music. Do i have to tell you again? This is too much for a spoiler tag to cope with..
All in all a nice fun game with a cool idea and executed in a not-so-normal way, which is good! This game seems like a really neat concept, but for me the slowness of the interaction makes it almost unplayable. I would suggest letting the user click and drag to move a ball instead of requiring three separate clicks, removing the "Your Turn"-type banners or at least making them go away instantly if you click anywhere, and making bombs count down quickly and simultaneously. I also felt like the time when a ball has almost stopped moving, but not quite, was too long. I'm somewhat tempted to suggest having the user set the trajectories for all the soldiers at once, and then have them all move simultaneously, to speed up the gameplay, but that would significantly change the game and not necessarily in a good way. I love the creative idea and the look, but with the interface as it is I just can't get into it. Well. I must say this game is very well done. Good music. Good graphics. Funny characters. I'm very honoured that you all are playing Ballistic War, thanks! Another one of my favorites. Great Concept. Good use of special abilities. Creative level designs. It could stand to be a bit faster and easier way to move around the screen but those are less important than the fun game play. Great game! I'm stuck on level 10. Any advice? I can't hardly move that big bomb at all! Hmm, I really liked this to start with - an interesting game concept behind the bare bones of the ball physics. Cute graphics, no overlong explanation of how to play. The gameplay concept in general is good as well - it requires a bit of planning ahead in order to get all the bombs. The biggest downside, as others have said, was the jerky/oversensitive camera movement; quite early on, I had to stop playing because the screen went crazy and wouldn't stop jigging from side to side. With that bug ironed out, though, this could be a pleasing gaming experience. I'd also cut down the waiting times for the player - the banners announcing whose turn it is are pretty but a bit slow, and it takes a while watching the bombs count down every turn as well. In general, though, this has potential. Ok, I beat it. All of the levels are very beatable. Some take a little thinking and a few take a little luck. I enjoyed most all of them. Thansk for a great game. Quick bug: if you click the "end turn" link after you've killed the last bomb but before your last piece stops moving, it does not end the level. Not much new to add to the above. I like the game (how can you not like an army that has an ice cream truck? ), but various problems prevent me from loving it: the jerky camera movement, the slllloooowwww gameplay (it would be nice to be able to turn off animations, banners, etc. ), the music loop that grew grating after about five seconds (I had to mute the sound entirely). But it's a solid game underneath. If version 2 takes into account the problems mentioned above, I think it will be a great game. Nice game, but some flaws in execution made me stop playing after a few levels. Most important - there's too much downtime. I've had this minor complaint with games many times, but in this game it's excessive. I want to be *playing* the game, not sitting and watching six different bombs count down one at a time, after watching the entire level cutscene every time I restart. It got so that the third time I had to restart I just gave up instead. I know you can press the spacebar to speed up the "Your Turn / Enemy Turn" animation, but being able to skip the whole thing would be a huge improvement. Other than that, the camera scrolling with the mouse was a bit annoying - sometimes i want to perfect my aim WITHOUT the camera moving along as well. This could easily be fixed by putting the camera scroll on the arrow keys; still, it's a minor thing. The game itself was nice and funny; apart from the usability issues, gameplay was good, and I really liked the unit animations and dialog with the mad doctor. Buggy but awesome. I love the humor and the special attack graphics. I want to see a sequel/remake. Here's my list of features. - Different skins for the different units. The little portraits are okay, but I want to be able to tell where my snipers are at a glance. 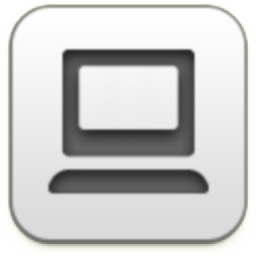 - Keyboard control options. A key to select my next unit, a key to speed up turns, a key to choose movement or special attacks, etc. They'd be optional, but they'd make everything easier. - Evil henchmen with names like 9-Ball and Snooker. - All the bugs fixed, and a little better English translation. - That's pretty much it. You can add all kinds of ground surfaces and new units too, if you like. - The camera didn't seem to want to move around whilst the cursor was on the big enemy balls, which was slightly annoying when they make up a significant amount of the challenge later. Nothing here *really* kills the fun, though, and since there's a good amount of fun to be had here this really stands out. I loved this game... Until the last level, or what seemed to be the last level... I had more hit to go to defeat the huge bomb... then the camera spazed out and wouldn't stop moving, I was not going to restart the level after doing the snooker level a million times... I liked it, but the camera definitly needs to be fixed! Great game! This shows a lot of polish. * It desperately needs a mute button for the music. I'd like to be able to play the game with sounds only. * During the enemy's turn, the auto-camera initially switches to the *last* bomb in sequence, then starts cycling among the bombs correctly. It should initially switch to the first bomb in sequence. * As Psychotronic suggested, different player balls should have different appearances depending on unit type. * A checkbox that makes the animations go by much faster would help the game move more quickly. Currently, there's a lot of waiting. * I also want a pony. Those quibbles aside, this is an excellent game! A) I love this game. B) This game moves so slowly I want to cry. I love the originality and gameplay of this game. The art (in particular the ice cream/panic tower cutscene people) is both excellent and hilarious. But the pace of the game kills me. Each turn I have to first wait for the screen to rumble. Then I have to wait while I watch each bomb tick off a turn. If I should happen to destroy a bomb, I have to wait for the screen to rumble again. Then I have to wait on the unit cutscenes. It feels like every step of the game is designed to keep pace with an octagenarian mall walker. Finally, after barely failing a 10+ turn level, the sheer chore of repeating all the waiting makes me close the window. I love this game. Quadruple the pace. Of everything. I love "Front Mission"-type games, I've been thinking about making a game like that for some time. But who would have thought you could make a game like that AND include ball physics? :) Great job. The waiting before restart got to me eventually though. Well done Wan, great game. The style/feel/approach works really well (yes ok so it 'homages' Advance Wars a fair bit but that doesn't stop your work shining through) and you've made a top quality game (in style aswell as game play) I'd absolutely happily pay for, in fact I'm enjoying it a lot more than Advance wars with the ball physics side in there. Also agree that after the first time you see the 'action' animation it would be great to have the ability to skip/shorten it, at the same time it would be great to be able to 'speed up' the enemy's turn. Other than that top marks, well done! Oh, this is a good one - great graphics, simple gameplay, challenging, a very good exploration of the competition theme... what else can I say? Woo I finally completed it! Last level first time with a bit of luck :D now i can do some work! I was gonna come and rant, but my major complaints have already been summed up by Peter Hosey and other posters above. I am on the snooker level and just wanted to post again to say how much fun this is. Now on to my review. i'm not trying to be buyous here.... i know other people said that the game has this bug and that bug, and i do encounter them as well, but damn it! this game just cries out CREATIVITY, ORIGINALITY and RICH GAME DESIGN all over. I think hazmer is limited by two factors: the lack of TIME and FLASH itself. you really need to do a lot to make sure that flash does not slow down during scrolling of images. think about it, if this game were to be delivered on the DS or some other platform, it will be a total hit! 1>> You have to use the soldiers to push other units esp. tanks to make them move faster. 2>> During each ball movement, each ball can hit a specific bomb once. with this, if you position your units nicely, you could hit more bombs per movement. 3>> You can take advantage of the bomb's auto movement to kill them! And best of all, all this game design is derived from the core concept of ball physics! Other games are polished and simplistic, but for me only this game so far delivers the needed rich game design. the concept, the game mechanics, the suitability of the theme, the level design, the attributes of each unit... ALL excellent! congrats hazmer! really well done. oh btw, this game seems to be launched on the right day, coz it's Hazmer's birthday today 10.10!!! Let's all wish HAPPY BIRTHDAY to the ballistic wars game creator!! oh yeah, an ice cream truck in a military group... pure genius. This game totally screams "sequel!!!" I would play it so hard. A game worth paying even for, I wonder if a console-version would ever come out, I think it would be a big hit. The best of em all so far. -Nice Graphics, Advance Wars style. -Requires thinking, as well as luck. -Slow, as said before, even though you can click trough the intro of the levels, which I dont have a problem doing, but the bombs ticking really take way too long, also chasms "stop time" when a bomb falls into it. This competition has brought some very good games, but this is the only game so far that I would buy in stores. This ended up being so absurdly slow that, despite how awesome the gameplay, story, and humor were, I gave up after having to put up with such long waits on enemy turns. UGH!!!! This is, in my opinion, the best conceptualized game of the batch so far and, unfortunately, the most glitch-laden!!! This is a problem because I am addicted to it already. Despite the fact that I know I'm going to be frustrated after playing, I can't stop! I'm sure everyone's already said everything possible but I'd LOVE to play this game without the glitches and with more to it! The 3 worst problems that could easily make this game 75% better are: The jittery auto-scrolling, the lag/speed issues and the placement of the end turn and restart buttons! Oh, how those buttons push my buttons!!! Wow really big thanks to those who took the trouble to write down the problems and suggestions in sheer detail. I'll gladly take note of them to polish up the sequel to Ballistic Wars. Thanks for playing! Wow long time no see. Funny how we meet here of all places. You check out this place often? Hazmer - we do accept bug fixes and updates, as judging has primarily focused on gameplay, theme, and production values (bugs notwithstanding). And in the spirit of a true "competition" look for an announcement regarding this topic once all the games are rolled out later today. What?! o.0 are you serious? Man, I didn't know!!! But bugs do hurt criterias like usability issues and such right? Whatever it is, I'm right on it!!! I'll deliver a simple update (at least speeding things up) later today. I have mixed feelings about this game. First impression: loved it. Love the goofy style, love the gameplay, love the graphics. Blew through the first 5 or so levels, until I got to the one with the slope. And here things went drastically downhill (pun unintended). This level was dramatically more difficult than the previous levels, which is mildly annoying. What really killed me was all the little annoyances of the game became glaring, blinding, hair-pulling obstacles to fun when I had to repeat the level over and over! Not being able to skip the dialogue. The slooooow enemy turn. The slow (even though you can partly skip them by clicking) turn transitions (the banners). The frequent pauses during gameplay for every hit between a ball and something else. But mostly, mostly, the wild, unintentional scrolling drove me up the wall. Partly it is the focus changing from following the moving ball to following the cursor. Partly it's that if you select a soldier who isn't centered the game will then center the screen on that man, which means the view shifts wildly without you moving the cursor. It all added up to an ultimately painful experience. I wanted to love this game; I tried. I played it well beyond the point where it was really fun, but the interface issues just dragged it down too much for me. First of all, this game is really fun. As a puzzler, it's impressive... but the game mechanics are so strong, I'd love to see what this would be like as a turn-based combat game. That is, if you dropped the puzzle aspects... where you have to figure out the one strategy to win a level. Instead give the player some units, give the AI or (ideally, another human player) some similar units, and let them go at it! The different movement/damage rates of the units and the ability to use one unit to bump a friendly unit -- all the ingredients are here for a deep and enjoyable action combat game. Actually that was the original intention of the game design. Wanted to program an AI, but it's not feasible considering the time period of the competition. And I thought the bomb premise was quite cool as well. Hence, it had to be changed to a puzzle-strategy game. Also in the original game design, there was to be a base and resource gatherers called harvesters. They collect the gold on the map, then bounce it off the base to obtain the money. Then you can click the base to build new units. Again, not enough time. I'm really glad to hear that's the game you're making. It sounds like it's going to be fantastic! HOW MANY LEVELS? haha I can't beat Snooker for the life of me, but if there's only 15, I'll bully through to complete it. 25 or 30, though, and I'm quitting. Yea there are only 15 levels. The plan is to make Level 14 the technical last level, and Level 15 the dramatic last level. Ss you have seen on the main site, Jay has given this period of time for polishing the game, so I shall do just that! You all have braved through the game even though it was, as pushevolve put it, glitch-laden. So I hope you give support to the polished update. Target date: 14th October, this Sunday! i was never able to play. it kept getting stuck. it would say it was the enemy's turn shake and make noise, then be my turn for a second and then go back to the enemy. i don't know what would cause that. I liked this - warts and all! Maybe there was a fix by the time I played this game. I don't know...but I didn't experience any bugs. Sure, I wish I could skip the enemys turn, but that was only because I am impatient. I could skip the text before the level with fast clicking...so that was a plus. And the adventure of Steve was quite entertianing as well. Well done. Certainly in my top 3. Bomb countdowns and turn changes are obvious -- please allow us to skip entirely the unbearably slow banners and countdown animations. 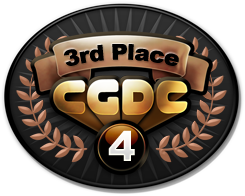 I feel like I could play and become bored with another CGDC4 entry in between two Ballistic Wars turns. Nice concept, really liked it. Its like snooker with a gun and accessories. I agree with the others that the animations takes up to much game time. The background with the pan makes me a litle bit dizzyas well. An advice for all game makers: It should allways be possible to turn off music and regulate sound. Music and sounds can get a bit repetitious and annoying. Especially if you like to listen to radio whilst you play, or need to be alert to sounds (nightwatch and such)while you play. I present to you, the polished update of Ballistic Wars! It's not a true sequel (no new levels, no harvesters+base, no skirmish mode, etc) but it has been polished as much as time allowed. I've tried my best to remove all the reported bugs and added in some of your suggestions. Everything is faster (I hope), the interface has been revamped, few levels have been balanced out and I've added in some cool effects! Even if you have finished the game, please try this one as well. Hope you enjoy Ballistic Wars v2! The problem with this many entries is that when people have a go at round 2, we aren't necessarily aware of the improvements. I wish you had done this with the game the first go around because this version would definitely have my vote for at least the top 3 in the competition if not #1. Yay glad you liked it. It was my original intention to put them in, just had no time. Speaking of lack of time..
Just played the updated version, and wow, awesome. A map editor and a key to skip animations would make this perfect, but ploughing tanks into groups of bombs is always fun. This was already my favorite game of the competition by quite a large margin, and I'm even more impressed after playing the updated version. The gameplay is so fun and smooth now that I only wish there were more levels! Truly an outstanding effort; it will be a travesty if this doesn't win! It's AMAZING that you have addressed all the major problems in such a short period of time and even surpassed expectations by adding effects and other features!! Whether or not you do win you truly deserve it and I'm THRILLED to see what you do in the future!!! This is an amazing game. You make us all proud to be Malaysians. Keep up the good work! I'm glad I didn't pick this one up 'til the revisions - I found little to be annoyed by, and much to be charmed by. The lil' quotes for each unit - awesome. The physics - incredibly solid (unlike some of these submissions, which seem to have taken "ball physics" to mean "ball-like motion"), comfortable bounces off walls, perhaps a little high on coefficient of friction (the snooker level is particularly annoying - what kind of snooker table is so rough that a hardest shot only crosses half the table?). Transitions not great, but not bad (the transition to pick up a level again is still too long when you combine skipping one dialogue, banner, enemy first move, banner, skipping another dialogue, now play), with suitably cheesy dialogue. Anyone who enjoys this game and also plays boardgames and similar should definitely check out Diceland by Cheapass Games. Imagine the same game played on your kitchen table - with big cardboard d8's instead of pool balls. A must-have. This won't load for me! I get to the Easy Only Games logo then a black screen. Other games are working fine - and it worked for me a few days ago. The bug fixes and new features are great! I finished the previous version, and now thanks to the changes I think I might play it all over again! One of the best flash games I've ever played, regardless of the competition (which it deserves to win!). Man that's strange. I wonder if this happens to the rest as well. It's ok on my side (tested on many computers). Maybe you should try to clear your browser cache? Well done for the updates, they really streamline the game. Phew Wan, after much clearing of everything - and then doing it again, the game finally works! Hope you do well in the competition - you deserve it! I missed this game before the update, but holy wow. I'm impressed. It's so beautifully polished that I really don't have anything negative to say. I'm on the last level right now and not sure whether I'll be able to beat it, but I'm going to keep trying. I really hope there are sequels with even more solider types. Again, this is a great game that just might get my vote. Certainly much better since the update! how do you beat lvl 9????? its driving me insane!! Eric, I just thought of a cool game since you mentioned dice... It would be awesome if the game was like this one, but the balls were dice! The amount of damage taken on a hit could be the amount the dice has landed on at the time of the hit... that would be incredibly fun! Fun game. It sort of reminds me of Advance Wars for Gameboy Advance. Oh I wish I'd played these contest games earlier. Then again, I'm glad I could play the less-buggy version of this first. It's occasionally tricky to line up your shot if you can't see the target, but that rarely becomes a problem. ..."Professor von Destructo"? He's from the quaint city of Destructonbourge or something? Do mad scientists get that way before they get their doctorates, or after? ...I also want to edit that last post. I forgot to add what I liked about it! Everything looked cute, which added to the experience. I could also get all those in-jokes whenever you selected someone; sorta like those "annoyed" sound bites you'd get when you clicked on a Warcraft character too many times. The Panic Siren and the Hunter are my favourites. So I beat the game, but I never figured out what was so special about the panic tower. This is in reference to the dialog in the level with the panic tower bomb. I let it tick down to zero and nothing special happened, I defused it normally and nothing happened... little help? "Fishball soup"? Do I smell some kind of innuendo here? Hello again everyone! Long time no see! First off, big thanks to jayisgames for the awesome review! The mini-sequel (more like a revamp) of the game will be available some time next week, so stay tuned. Gar: haha you guessed right. I do play Blizzard strategy games. Destructonbourge huh? Haha I imagine all the buildings there can roll and self-destruct at any time. Really gives me an idea... thanks! Above all, thank you for this fun game! I found the last level not as fast-paced as I would have liked, but I definitely enjoyed the rest a lot. That kept me occupied for an hour and a half. No complaints, good game. - the learning curve is a little too big. Right at level 9 I was suddenly finding myself (and I'm sure others too) constantly replaying the level because of one or two miscalculations on the angles. As I played level 9 more and more, I was correcting the moves that went wrong, instead of playing new levels. - beta testers (for the sequel). Instead of finishing up the game and testing it yourself constantly, get a couple of your friends or family members to play the game. Ask them what they found hard, what they would like to see removed or added, what annoyed them, and other questions like those to see what you could change so that you don't have to test it from a person that has played the game multiple times (if you constantly test it, you're going to get used to how to play, and therefore you are better at it than someone who has never played it before). You could show an extension of the arrow that would show how the ball should move (kind of like some billiards games). It might also show where the enemies would go when they were hit in the predicted spot. Instead of making a complicated version of this that shows how it would act on a slope, where it would hit enemies by crossing paths, and/or how far it should go, something that shows where the ball should move, hit other balls, and where those hit balls would move to would suffice. There are several things that people are complaining about, and can easily be fixed by a simple "options" window. - a button to speed up the balls would be nice. Once the balls slow down to a certain speed, you could make hitting a certain key speed up the animation of the balls, probably by skipping frames or something. - as some have said, knowing your soldiers from your snipers by glancing at them would be nice. The little graphic that's inside the circle of each enemy could be put in the middle of each ball so you can tell who is who at a glance. Absolutely wonderful. Some levels took several tries, and when that happens the repeated Your Turn! / enemy bomb countdown gets annoying real fast - other than that, no complaints. I love it. Thank you for your effort and ingenuity. This is totally asking for a Wii port. The controls would be perfect. I'm on level 14. Does anyone have a walkthrough for that level? I click on ur link and it goes to error page. Oh well, have fun guys! Great game. My only problem was the animations whenever you used a special. It wasn't too bad for some levels when the specials were only used once in a level, but when I was using 1 or 2 specials per round it quickly got annoying. I hate the high-life low countdown bomb level. It's very tricky..